Found a jelly or cream cheese container at a restaurant for the pie tin and used whole black peppercorns for the cherries. 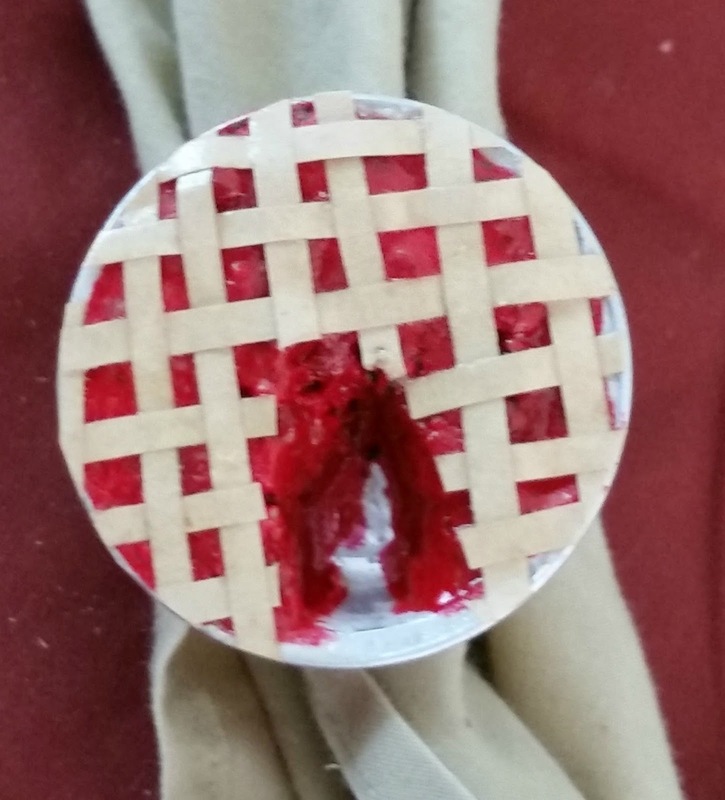 The filling was spackle and I cut out a piece of pie before painting it red. I glued a lattice made of tan paper and glued it all together. I drilled a couple holes in the back for the coat hanger loop.